Commercial Contracts have traditionally been the preserve of big business. 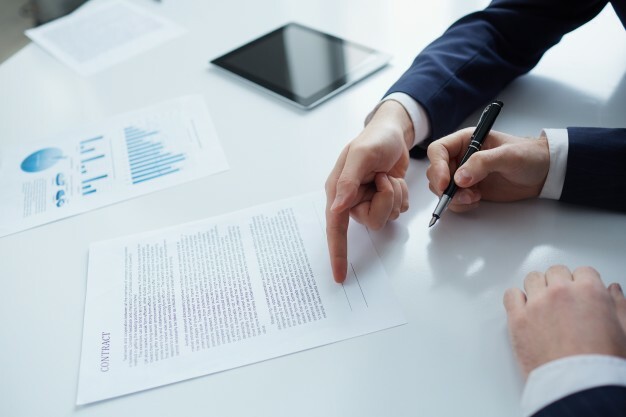 Teams of commercial, technical, risk management, legal and contract specialists working on complex deals, where each side pushes their considerable resources towards securing the leverage to make the deal work to their best advantage. Meanwhile, smaller, independent businesses (say, those with less than 20 employees) often make do with a discussion and a handshake, or a rudimentary quote sheet, despite there being a far higher volume of deals being done by (and, potentially, going wrong for) small businesses. Due to the perceived resources involved, small businesses haven’t seen the need, or found the ability, to formalize business relationships to the same extent, despite the fact that a mis-step is far more likely to threaten the existence of a small business than it would those with better finances. So, is there a way to allow independent business to access contracting knowledge and experience on a flexible basis, which will reduce their business risk and assist in delivering better value to them (and to their clients)? If ad hoc services can be delivered by other professionals (legal, accounting, etc. ), is there any reason that the same cannot be achieved in the contracts management arena? I believe that there should be an ability to provide an access point to smaller businesses via a combination of standardization and systemization of the contracting process, including providing access to legal review for those aspects of the contract which may require it. This is not to say that commercial contracting can (or should) be commoditized, as there needs to be an opportunity for each and every business deal to capture the elements specific to it. However, through prudent use of experienced resources and appropriate technology to handle the “standard” areas of the contract, each independent business can focus on the (technical) areas that they have the expertise in, while gaining a certainty in their deal that has been largely denied to them up to this point. While I certainly see this being applicable in the energy sector, I think that the construction and other generic service industries could also benefit from enhanced contract management provision. Following discussion with some former colleagues, who agreed with my belief that there should be way to deliver ad hoc contracting expertise to smaller clients, I am developing ways of delivering these types of services to “independents”, in addition to the bigger players, and would be interested in any feedback from the Contracts community on whether or not this type of service is achievable, or even desirable. Principal, Black Thistle Contracts Inc.